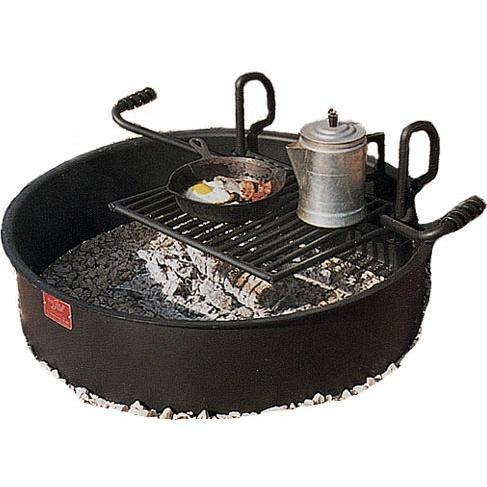 This BBQ Charcoal grill features a flanged campground style fire ring w/cooking grid. Reinforced grate is virtually indestructible. Grate tips back for fire building and cleaning. Firebox is ring and flange reinforced. Theft-deterrent base attachment. 3/16 plate steel construction. 270 square inches cooking area. Stands 7 high, 32 diameter.